We visited St. Elmo, Colorado this past weekend, which is a ghost town up past Mt. Princeton. For a ghost town, though, there was certainly a lot of activity. The general store is open and a lot of ATV traffic. 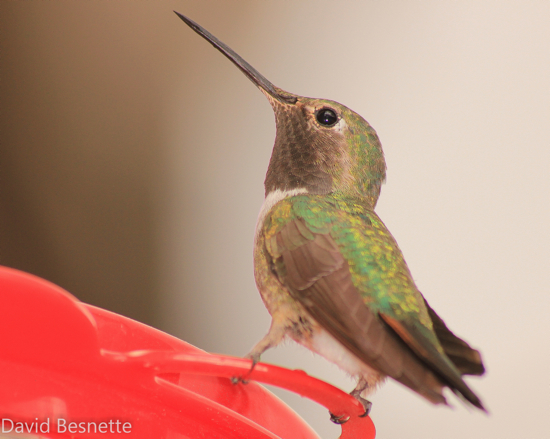 It was nice, though, to see about 6 hummingbirds hanging around the outside of the store. It was barely raining so I was concerned about getting my camera wet, but went for it anyways. These little suckers don’t stay still for long, so getting a decent shot is not easy. This one, though, I thought turned out really nicely. You can see so much detail in the eyes, beak and head. ← Early Fall in Colorado?